National leader Stacey Abrams has written the guide to harnessing the strengths of being an outsider and succeeding anyway. Leadership is hard. Convincing others—and yourself—that you are capable of taking charge and achieving more requires insight and courage. Lead from the Outside is the handbook for outsiders, written with an eye toward the challenges that hinder women, people of color, the working class, members of the LGBTQ community, and millennials ready to make change. Stacey uses her hard-won insights to break down how ambition, fear, money, and failure function in leadership, and she includes practical exercises to help you realize your own ambition and hone your skills. 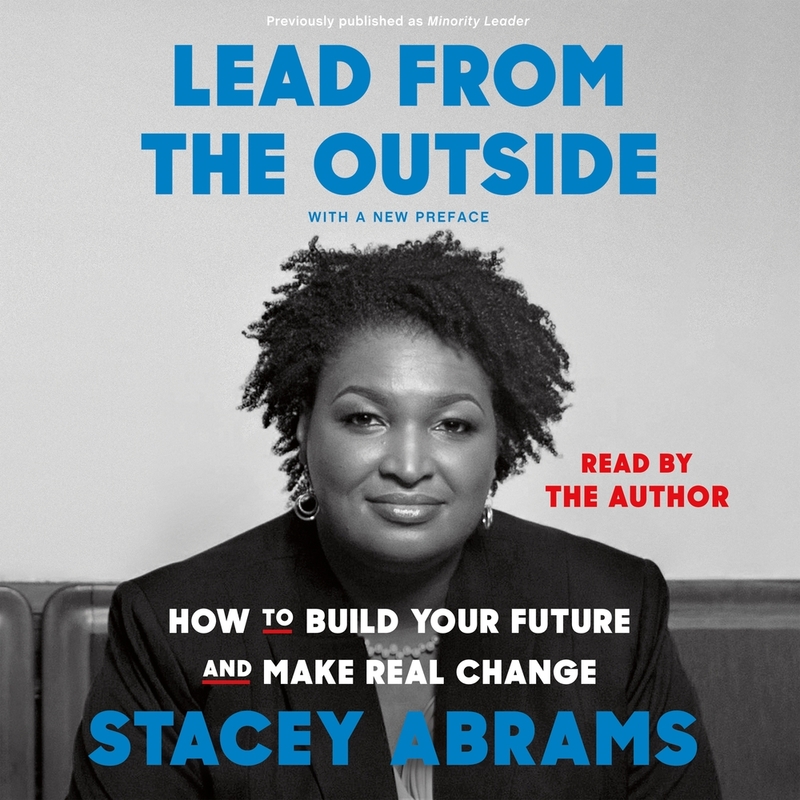 Lead from the Outside discusses candidly what Stacey has learned over the course of her impressive career in politics, business and the nonprofit world: that differences in race, gender, and class provide vital strength, which we can employ to rise to the top and create real and lasting change. Stacey Abrams is an author, serial entrepreneur, nonprofit CEO and political leader. After eleven years in the Georgia House of Representatives, seven as Minority Leader, Abrams became the 2018 Democratic nominee for Governor of Georgia, where she won more votes than any other Democrat in the state’s history. She has founded multiple organizations devoted to voting rights, training and hiring young people of color, and tackling social issues at both the state and national levels; and she is a lifetime member of the Council on Foreign Relations. Abrams is the 2012 recipient of the John F. Kennedy New Frontier Award and the first black woman to become the gubernatorial nominee for a major party in the United States.